Earlier this week, the official start of summer heralded all the fun in the sun that is about to commence (for those of us in the Northern Hemisphere, that is!). 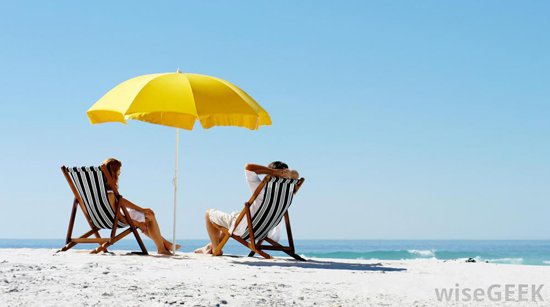 Hopefully you're soaking up the sun and enjoying the carefree times of summer. 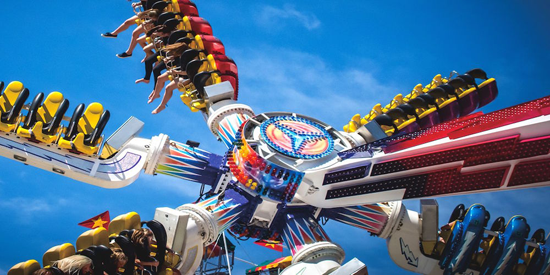 Summertime is the perfect time to enjoy the company of friends and family — at the beach, at the carnival, or even your own backyard. 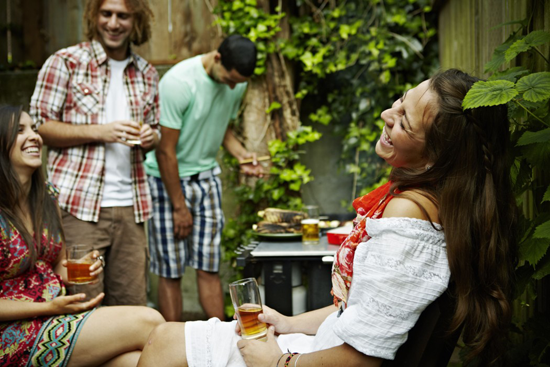 It's time for BBQ and sun and a whole lot of fun! I don't know about you, but I want to get on my swim suit and head out in the sun! 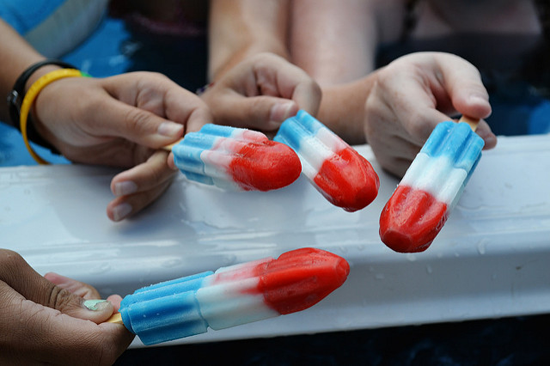 A popsicle would be the perfect finale to a lazy summer day! My Favorite Things has some great products to make your colorful and sun-saturated paper crafts spectacular. Let's take a look at some awesome projects that will inspire you to create with summer in mind! There's nothing more refreshing than a cool drink on a hot summer's day, and Yoonsun's colorful array of pop looks totally delicious! 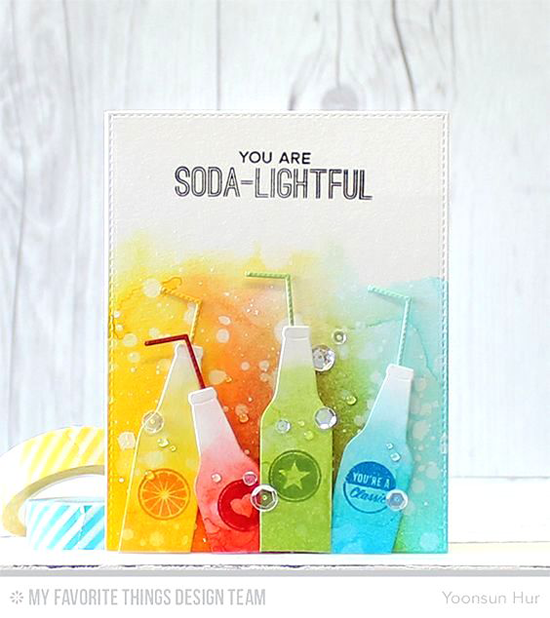 The Soda Pop stamp set and Soda Pop Bottles Die-namics are SO MUCH FUN! Cooling off at the beach is a definite sign that summer is here! I love Debbie's relaxing design that she created with the Fun in the Sun stamp set and Die-namics. TOO cute! Warm and saturated colors dominate the scene in Kay's juicy design. The colorful tropical bird from the Birds of Paradise stamp set is simply preening in all his (her?) glory. Ahhhh, flamingos! To say I'm obsessed is an understatement, and Inge's design is all kinds of perfect. 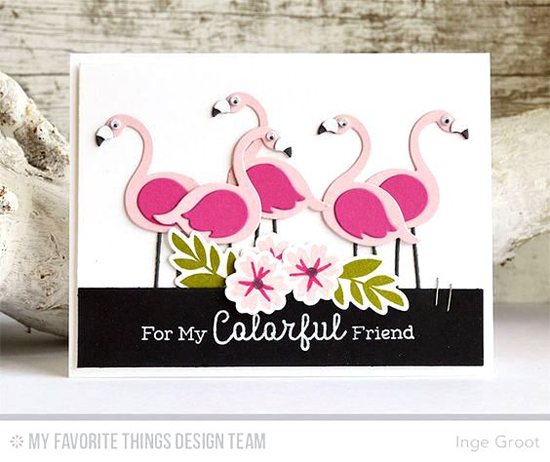 I love the strong use of black to contrast with the pale pink of the birds she die cut using the Flamingos Die-namics. And what better time to grab a grass skirt and hula your way to a festive luau? 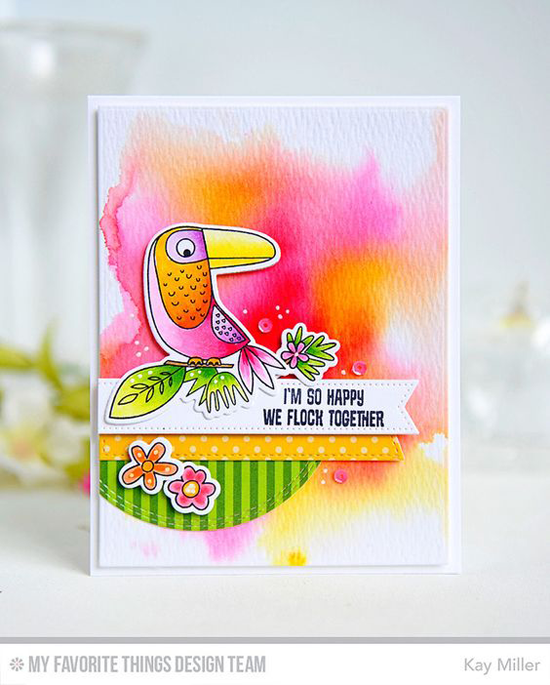 I love how Amy paired the hula honey from the Polynesian Paradise stamp set with the Fringe Die-namics for this colorful and tropical design! Before you go, take a look at a few of the awesome summery things you can buy at the My Favorite Things online store! Simply click on the photo to be taken directly to the product. If the product is currently out of stock, you can sign up for an email notification once it's back in stock! 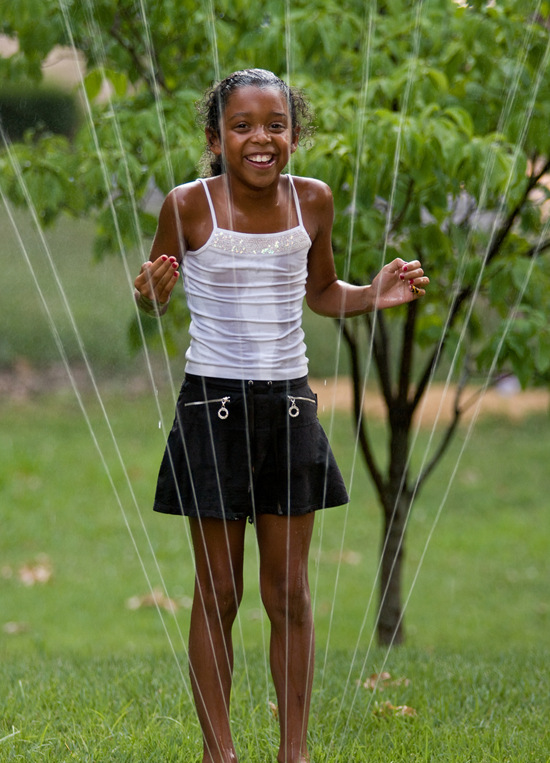 Here's to a FUN and creative summer weekend!